The E. Asian population density has to do with water availability. People in Bangladesh are standing in water up to their necks. Every typhoon drowns a million of them. The rivers of China stretch out from the southeast coast like the fingers of a hand. Settlement is along these river courses. The rivers rise to high, dry plateaus in the northwest. 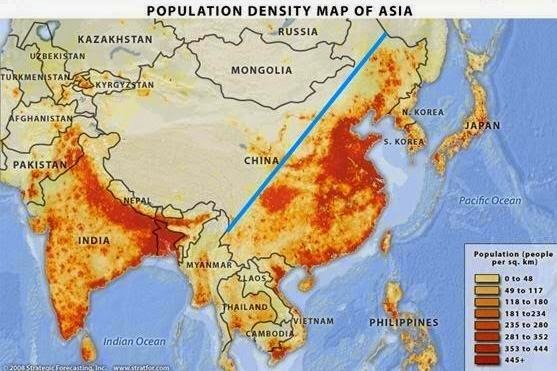 Unlike the US, China has no chain of mountains in the southeast to block rainfall.